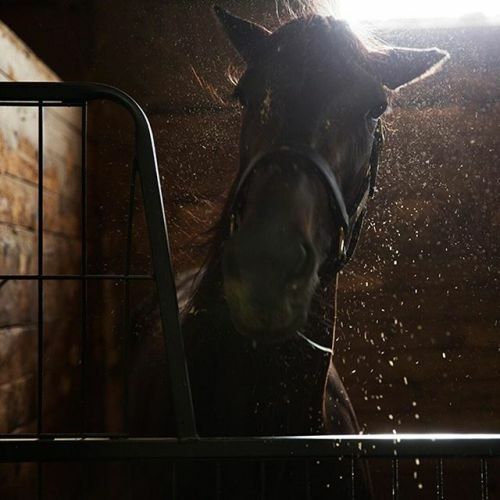 “Mission Brief, a record-setting #racehorse, is bidding to become the 14th filly to win the #Hambletonian at #Meadowlands Racetrack this weekend. “She’s her own person,” said Ron Burke, who trains her. “She’s high-strung. She’s not going to do it your way. You’re going to do it her way.” @victorjblue photographed #MissionBrief after her workout this morning in New Jersey.” By nytimes on Instagram.